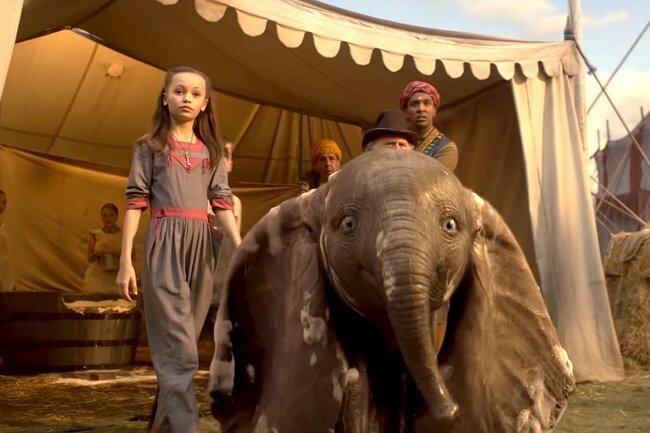 Dumbo 2019 movie review: A sob-inducing delight and action-packed ride. Disney's new live-action Dumbo movie is both a sob-inducing delight and an action-packed ride. Disney’s new live-action Dumbo film lacks any inclusion of live musical numbers, vivacious talking animals or even a strong resemblance to the animated version of the story many of us grew up with. And yet it still manages to conjure up moments of utter magic. Dumbo is the latest project to hit Australian cinemas this week, fresh off Disney’s animation to live-action conveyor belt and following in the footsteps of 2015’s Cinderella and 2017’s Beauty and the Beast, while also paving the way for the highly anticipated release of Aladdin which will premiere later this year. 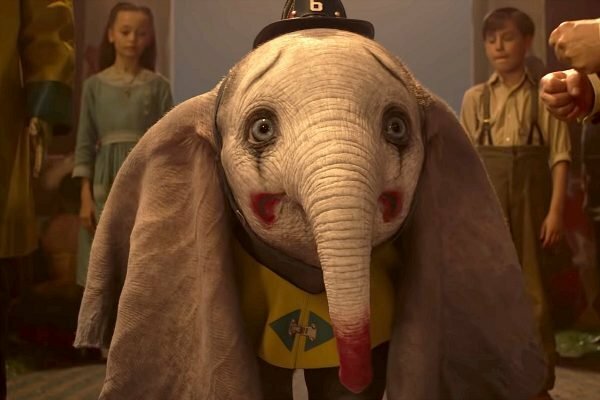 It might be unfair to say this, given that Dumbo has the advantage of featuring perhaps the most loveable protagonist ever committed to screen with its namesake baby elephant star, but so far it is the most emotionally compelling entry in Disney’s new range of movie offerings. In a winning creative decision, director Tim Burton and the Disney team have taken the basic premise of the beloved 1941 animation – the tale of a shy baby elephant named Dumbo who is born with enormous ears, separated from his mother and left to fend for himself in a travelling circus – and fleshed it out into a more detailed and action-packed big screen offering. In this new version of Dumbo, Holt Farrier (Colin Farrell) returns to find the once lavish circus he called home is now a poor shell of its former self and his two children, Milly (Nico Parker) and Joe (Finley Hobbins) mourning the death of their mother and uncertain of their future. “He was half of a double act with his wife, before he went off to fight in the First World War,” Colin Farrell told Mamamia in a statement. “They had a horse act where they would do roping tricks and trick riding, but he was sent off to fight and left his wife and two children behind. By the time he comes back, his wife has passed away and his children were raised by the circus. He’s also lost his left arm in battle, so he is both physically and psychologically wounded. Take a look at the trailer for Disney’s Dumbo. Post continues. After Dumbo’s mother, Mrs Jumbo, is banished from the circus after tearing the place apart trying to protect her baby (mild spoiler alert: this scene involves death) little Dumbo is left in the care of the Farrier family who discover that his unique flying trick is a wild crowdpleaser and the key to saving their struggling business. The early scenes set in the circus are by far and away the strongest moments of the film. There’s a wonderful element of joyful discovery watching the children and Dumbo interact on screen together against the backdrop of the old-timey performance venue and the moment the little elephant first takes flight before a crowd is a real show-stopper. About halfway through the film, Dumbo kicks into a more action-packed storyline by introducing a whole new raft of characters including V. A. Vandevere (Michael Keaton), a ruthless entrepreneur and owner of a monstrous amusement park called Dreamland who acquires the entire circus in order to own and exploit Dumbo. On his arm is Colette Marchant (Eva Green), a French trapeze artist who was “discovered” on the streets of Paris and who is tasked with learning to fly Dumbo. "Litle Dumbo is a loveable protagonist in Disney&apos;s newest movie offering." Source: Disney. While the original animated film is told through the eyes of Dumbo, leaving the humans to be background characters, in the live-action adaptation the human storylines and character arcs are very much at the front and centre of the film. "I remember Dumbo as being a very simple and emotional story," director Tim Burton told Mamamia in a statement. "The character is symbolic of someone who doesn’t quite fit in but turns his disabilities into an advantage. Our Dumbo embraces the spirit of the original - that experience of fear, loss, joy and humor all in one. 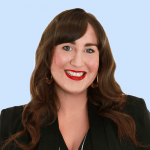 "For me, the idea of running away to join the circus was a symbol for a bunch of oddball people who don’t fit into normal society that get together to create a family. That romantic idea of the circus always appealed to me. "It goes back to what I felt about the original Disney movies. There’s a grand intimacy about them - they’re done in a beautiful artful scale. And yet the themes and emotions are very simple and human and relatable." The most important note to keep in your head before you see Dumbo is not to expect it to mirror the movie from your childhood. It very much branches out into new (and much bigger) territory and at one point it actually morphs into a fully-fledged action movie with buildings on fire, villains in hot pursuit and Dumbo soaring to the rescue like some kind of large-eared Superman. If you go in with too many expectations you may look at the screen in front of you and think "what the hell am I watching? ", but the whole point of doing a &apos;reimagining&apos; is to push the story into new areas and hopefully put a surprising twist on a well-worn tale. So just surrender to the newest wave of Disney magic that is Dumbo, I promise you that even if the new storyline is not your cup of tea, staring at that little elephant&apos;s face for two hours is a form of self-care and the very best use of your time. Dumbo will open in cinemas Australia-wide from Thursday 28 March. It is rated PG.